LS2 Helmets was born in 1990 in a tiny 600-square-foot house in China, and the helmet business grew from two people to 1000 employees by 2005, producing more than two million helmets a year. In 2007, LS2’s head office was established in Spain, and a 30,000-square-foot warehouse was established in Chicago in 2010. LS2 has won many world championships in MotoGP, MXGP and World Rallies, including Dakar. 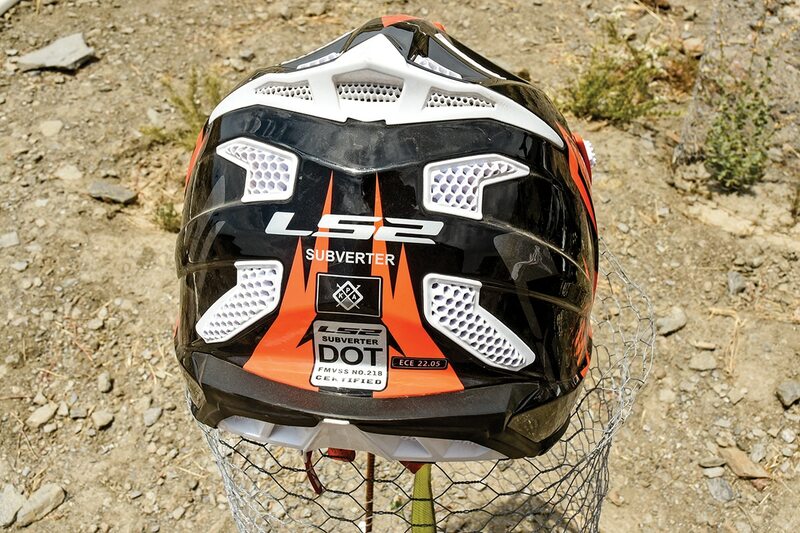 LS2’s latest off-road helmet is the new high-tech MX470 Subverter. The MX470 Subverter has an all-new shell (actually, three new shells) with an intermediate-oval shape and aerodynamic design with 35 ventilation ports. Channeled, multi-layer EPS has integrated ports to provide Dynamic Flow-Through Ventilation via the rear spoiler and exhaust ports. MX470s come in nine styles and colors with sizes XS–XXXL (3.2–3.31 pounds). Comfort features include removable and washable liners that are breathable and hypoallergenic with laser-cut foam pads. Security features include a quick-release and reinforced strap, emergency-release cheek-pad system, metal-plate strap anchors and multi-density EPS. The sculpted and very vented visor is adjustable at all three contact points. LS2’s MX470 Subverter venting is out of this world, with 36 ports incorporated into the aerodynamic shell. There are no ways to cover those vents for cold-weather riding, except for your goggle strap or tape. LS2’s proprietary Kinetic Polymer Alloy (KPA) shell construction is a blend of polycarbonate, space-age thermoplastics and other materials that offer light weight and high-penetration resistance. MX470s meet DOT and ECE 22.05 requirements. LS2’s 3D-cut lasers shaped the cheek pads, and the comfort liners are breathable, hypoallergenic fabric with thermo-welds reducing the need for glue. Rubber lines the wide eyeport and base with even more vents for maximum cooling airflow. Anyone who wants a lightweight, high-tech, full-faced off-road helmet at a reasonable price. We got an XXXL MX470 in Emperor Glossy Black Orange, and chrome trim also came in the box. The Subverter fits very well and is very comfortable to wear for long periods of time. 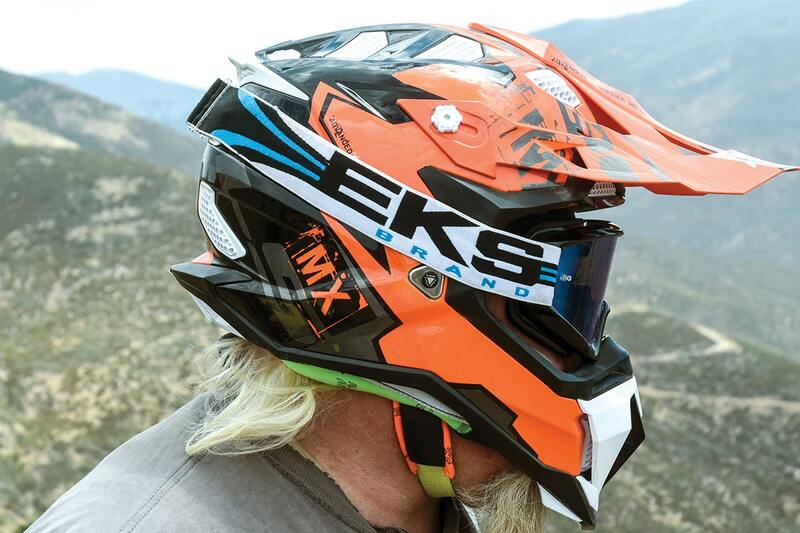 Venting is excellent, and the MX470 is probably the best-vented helmet we’ve worn. The downside is that all those vents can’t be closed for cold or rainy days. Also, the visor has large holes for letting air into the top vents—so large that sunlight and roost can get through too. The LS2 MX470 Subverter is a very stylish helmet with great venting and comfort. It’s loaded with high-tech features in a compact, lightweight package. UTV enthusiasts will appreciate the cooling airflow the MX470 provides, and roost and sunlight shouldn’t be a factor with a roof overhead.